As of today, I have been blogging for seven years. I think that hyperlinked text may be longer than my first blog post. So how has my blogging evolved? In fact, (as you may be able to tell from that first post) I started two blogs–one was Cake Batter, and the other was Tragic Sandwich–which I later merged. It took me a while, but I did learn how to embed photos. Over time, I got better at it. What I write about has changed. The structure of my posts has changed (I still like this one about disgusting wine, but I would definitely hyperlink it if I were writing it today). With more years of marriage (Mr. Sandwich and I had been married for about 14 months when I started blogging), a home purchase, and most importantly the much-desired arrival of Baguette, my life has changed far more than my blogging. That said, I am beginning to have an idea that I may be at the point where blogging starts to change my life. Fingers crossed. How long have you been blogging? And what’s changed for you? Photo by TN Something Special Cakes, via Flickr. I’ve only been blogging since January, but I started out just blogging about baby feeding and making your own baby food. Snoooooooooooooooze. I got bored and started writing about whatever made me happy at the moment, and things are much better now. I was very wary about how much information I put out there, so it was a little sparse for a long time while I figured out how to be comfortable with that–but I’ve found a balance of sharing and privacy that I’m comfortable with (and so is Mr. Sandwich). Figuring that out made the actual writing much easier. Congratulations!!! Happy Anniversary! I’ve been blogging since last September, so I’m almost at that one year anniversary! YAY! It’s been a whirlwind of a year, truthfully. I am enjoying it more than I ever imagined and have, gradually, begun to let people in more. I found it quite intimidating to throw myself out into the internet and hope people like me enough to visit. Thankfully, people have enjoyed visiting, and are visiting often enough that opportunities are being presented to me and I need to upgrade the blog (very) soon in order to keep up. Now, tackling that self-hosted hurdle is the intimidating part! AAAHHH! 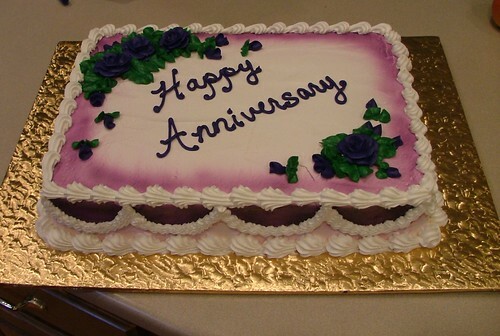 You’re gaining on that first anniversary! It’s really gratifying to write something that people respond to, isn’t it? And going self-hosted is my goal for the coming year. Right now I’m still on WordPress.com. I’m with .com, too. I’m trying to figure out if I have enough nerve to do the move to .org on my own or if I need to hire someone to handle it. I do think that going from .com to .org is easier than going from, say, Blogger to .org. , at least, that’s what I’ve heard. Fingers crossed! Once the kids are back in school, next week, I’m going to start working on the big move. I hope it’s fairly easy. Certainly it’s fairly common, so it shouldn’t be too hard! I’ve been blogging about 5.5 years. I started out thinking I’d write stories from my travels, but then I had a kid and took a detour through the parenting stuff. And ever since, I’ve written about a hodge podge of topics. I used to write letters about my travels, but that was so many computers ago that I’m not sure I have them any more. Happy Anniversary, quite a journey. I had a dog blog six years ago stared a writing blog, but now I have my personal blog. It’s a great way to vent your feelings. Congrats! I toast you with some nondisgusting wine. That’s the kind I prefer to drink–how did you know? Thanks! I had no idea I’d wind up blogging for so long. Happy anniversary! Wow! Lucky number seven! Thanks! In the luck department, here’s hoping for no broken mirrors. But I do have a soft spot for black cats. Copyright © 2005/2012. All rights reserved. Love the blog? 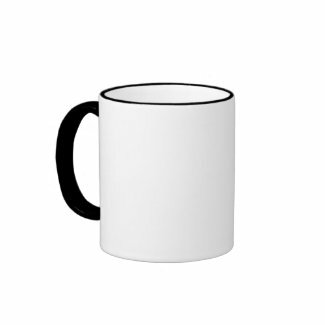 Buy the mug!